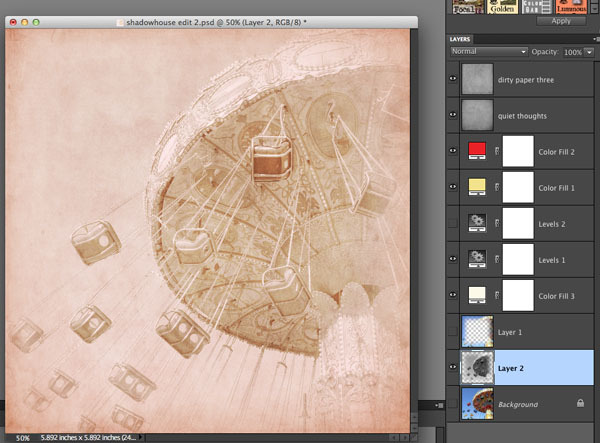 The CoffeeShop Blog: CoffeeShop Carnival Tutorial Part 2: Using Textures! 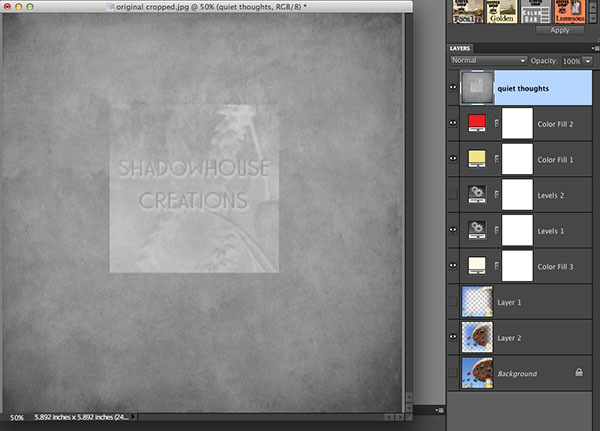 CoffeeShop Carnival Tutorial Part 2: Using Textures! 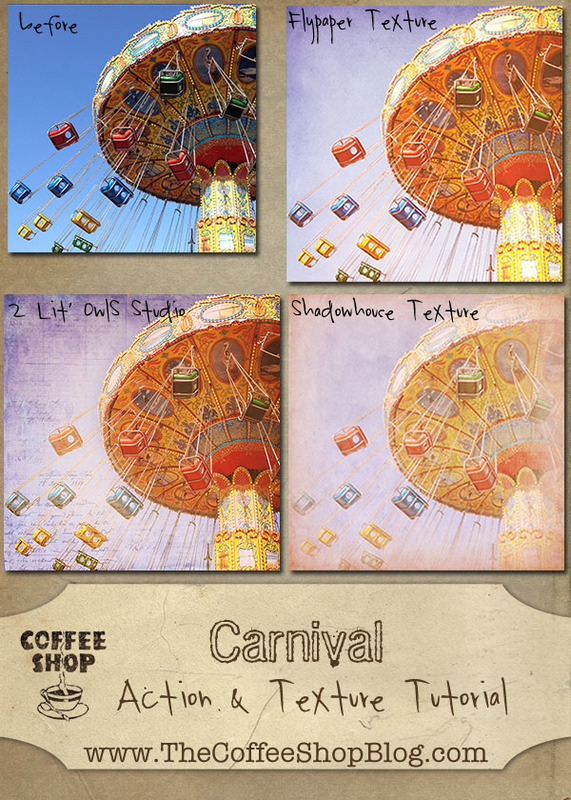 Today is Part 2 of the CoffeeShop Carnival tutorial. 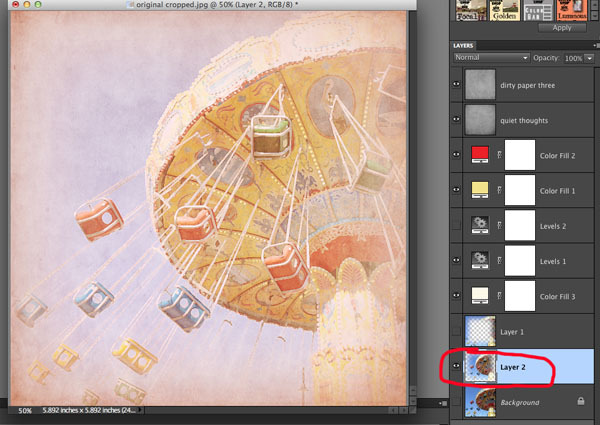 You can read all about creating a vintage color tint for this edit in Part 1. The next post will have the download for the CoffeeShop Carnival action (the action unwrapped tutorial is Part 1). Part 1 also has this image so you can download it and edit along with me. 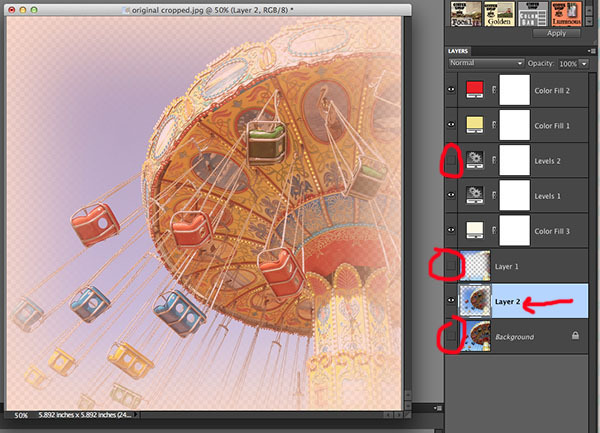 I wanted to show three different texture edits for this image. 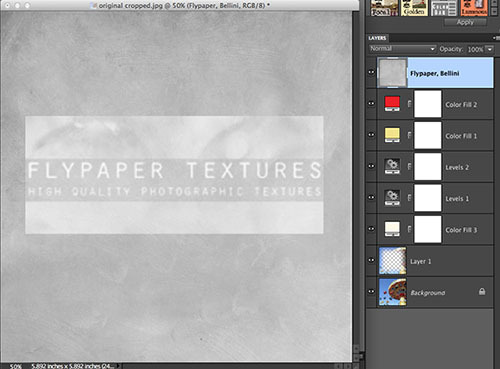 Paul and Jill sent me their newest texture pack, August Painterly, and like all of Flypaper Textures, they are stunning. I picked out one of my favorite textures from the pack (Bellini) for my first edit. 1. 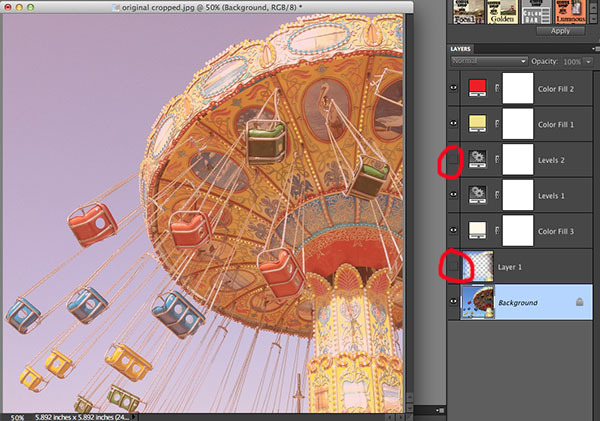 Open your image and run the CoffeeShop Carnival action or follow the tutorial. 2. Add your texture. 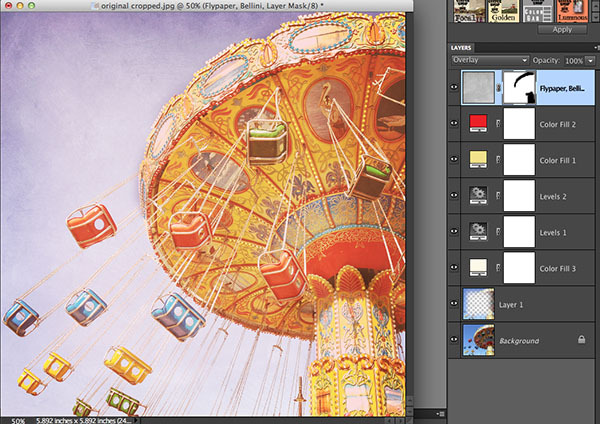 In this edit I used the Flypaper Bellini texture. I free-transformed it to fit and then desaturated it. Shift-cmd-U in Mac, Shift-ctrl-U in PC. I didn't want the texture color to affect my tint. 3. I put the texture layer in Overlay blending mode, added a layer mask on the texture layer and painted the texture off the brightest parts of the swing image, and I am done! Love the feel of this edit. I love to visit Jerry's website and look at all of his incredible free textures. And he is so generous and sweet. 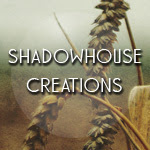 If you go visit his site and download some textures, please consider leaving him a donation for his hard work. In this edit I wanted a more vintage, washed out feel. and I used two Shadowhouse textures; Quiet Thoughts and Dirty Paper 3. 1. I ran CoffeeShop Carnival on the image (tutorial here) and then turned off the vignette layer and the Levels 2 layer (this is the layer that I added a Levels adjustment layer, made no changes, and then put that layer in Soft Light blending mode for added contrast). I want this image to have soft contrast and colors. 2. I wanted to add a soft washed-out vignette around this image. So I clicked on the background layer and Select, All and then Select, Transform Selection, and put in 85% for the width and height. 3. I feathered this selection (125 in this case). 4. 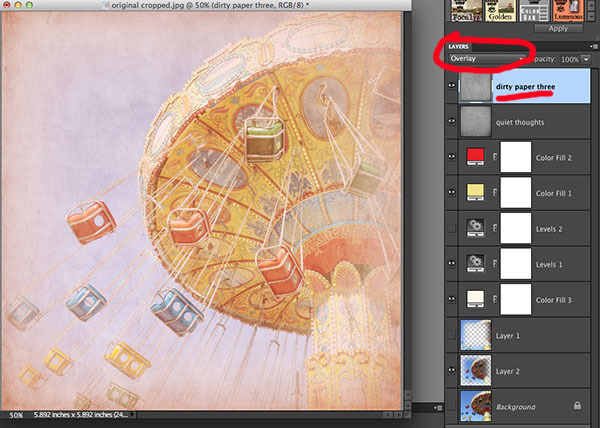 I clicked on Ctrl-J to put the selection on its own layer. Then I turned off the background layer. 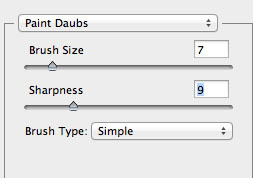 So if you are following this, I now have three layers turned off. 5. I added the Shadowhouse Quiet Thoughts texture and desaturated it (see the tutorial above) and put it in Overlay Blending mode. 6. 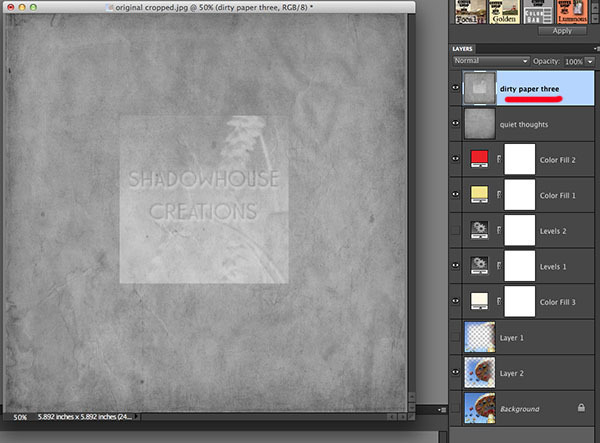 I added the Shadowhouse Dirty Paper 3 texture, desaturated it, and put it in Overlay blending mode. 7. I love this edit! I think I might print this one over at Color Inc. There are a few other fun things I could do to this edit. 8. 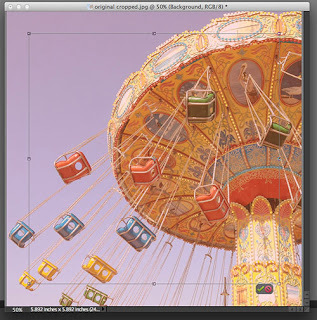 If you want a painterly effect, click on the swing layer (Layer 2 in this case) and go to Filter, Artistic, Paint Daubs. 9. This is a really subtle painterly effect and would be so beautiful on a card or on the wall. 10. 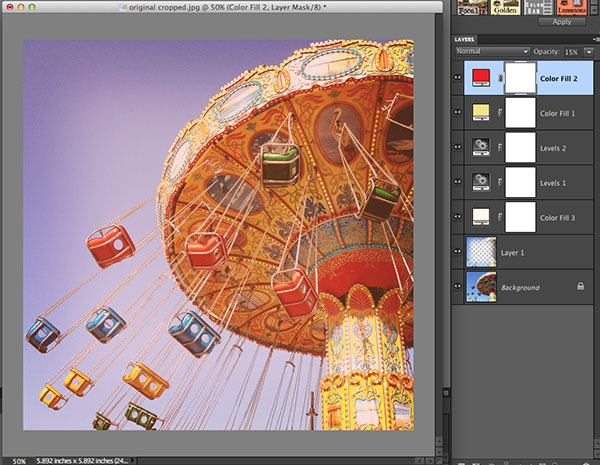 I also tried desaturating the swings layer (Layer 2 in my example). I think this is a really pretty effect and very vintage-looking. I hope you enjoyed my tour of beautiful textures and got something from the tutorials. I will be posting the free CoffeeShop Carnival action this week.